As those of you who read this (and who know me personally) know, I LOVE to read. Its one of my greatest passions, one of my most sought after activities to do in downtime, something that fills me with excitement, contentment and joy. I think books are an integral part of life, in general. From books, one can learn anything. About a topic that interests you, about a place you wish to visit, about relationships, friendships, or about the intricacies of a different culture from your own. One can learn about anything, from cooking to gardening, to how to start a small business, or how to improve ones photography skills. 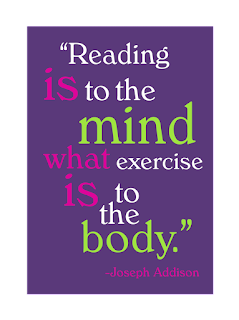 Reading can transport you to other worlds or time periods. 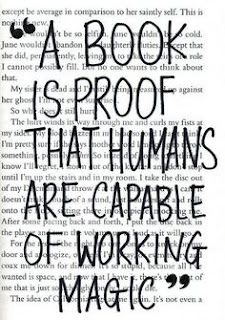 Fiction is based on truths found in human lives. Thats where fictional stories come from. They are based on the real dilemmas, challenges and emotional paths of what it means to be human. Therefore, I believe reading fiction offers just as much in terms of meaning to ones life as nonfiction does. 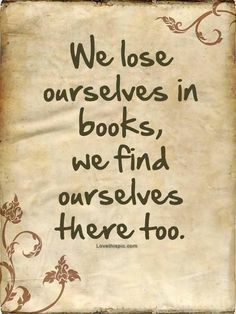 Within the pages of fictional books, one can find themselves there. Or at the very least, reading fictional stories opens your mind to different ideas about how others might live their lives, deal with relationship challenges or other human plights. 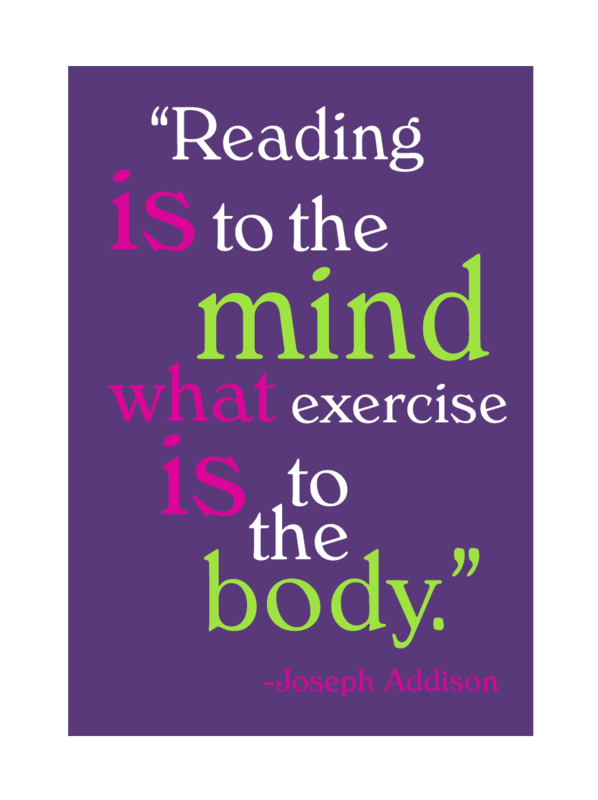 I think reading is an activity that yields endless benefits. I personally cannot get enough of it. I cannot imagine a life that didn't involve books. I imagine it would be a far less fascinating, engaging and stimulating one. Therefore, I have a list of reading recommendations for you in celebration of fall. Autumn is my own personal favorite season. I love the leaves changing color, catching flame. I love the slight chill in the air, even as its still mild outside. I love the vibrations in the air of new beginnings, back to school excitement, starting over (to me, September feels more like the beginning than New Years ever has). Something about summer coming to a close signals a "new year" to me. I love the explosions of all things pumpkin flavored (sadly, Europe doesn't offer this. One of the heartbreaks that I have experienced living here as an American. I miss pumpkin cheesecake, pumpkin donuts, pumpkin pie. The stuff dreams are made of). As the temperature drops, books and cozy blankets beckon. Without further ado, here is the list. All of these are awesome reads. I know this because I read all of them over the past 7 weeks or so! This is one of my favorite books of all time. I cannot recommend it enough. Ive read it twice and will undoubtedly read it again. Cheryl tells us the story of her emotional struggle with her mothers death. She reveals her toying on the edge of heroin addiction. She talks about her relationship with her now-ex husband, Paul (a relationship that is both deep and incredibly touching). 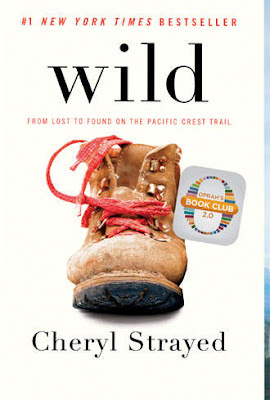 She explains how all of this led her to the decision to hike the PCT trail, hundreds of miles on foot, never having been a hiker previously, never having trained. Her experiences on the trail are fascinating and suspenseful. In this book, I love the openhearted way she tells her story, laying herself bare. I saw myself in some of her words and passages. I identified with this book and just loved it. Give it a read :-D I imagine you will like it too. Nestled in the Blue Ridge Mountains of Virginia, Ave Maria Mulligan is the town's self-proclaimed spinster, a thirty-five year old pharmacist with a "mountain girl's body and a flat behind." 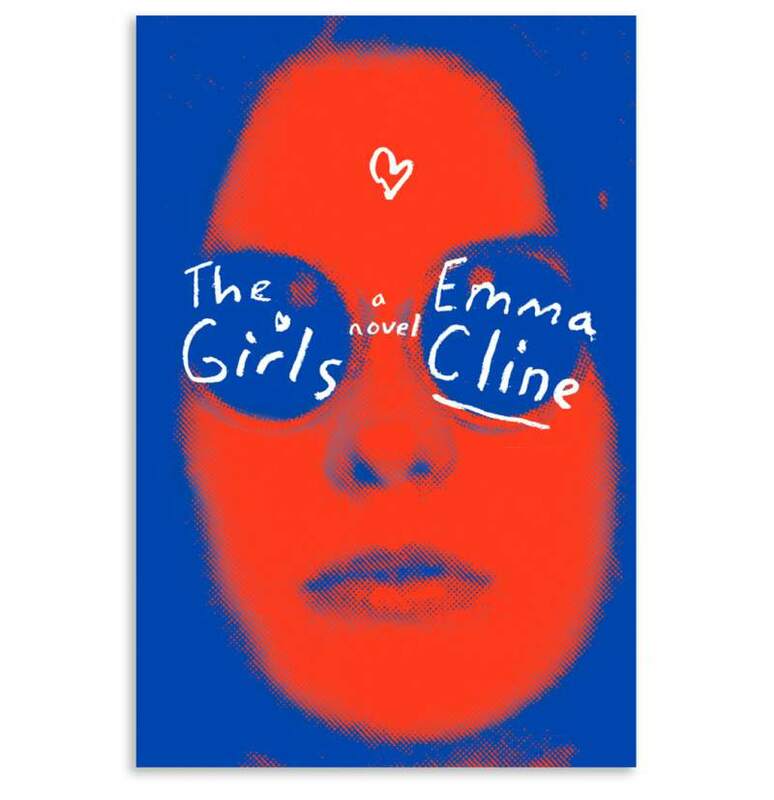 She lives an amiable life with good friends and lots of hobbies until the fateful day in 1978 when she suddenly discovers that she's not who she always thought she was. Before she can blink, Ave's fielding marriage proposals, fighting off greedy family members, organizing a celebration for visiting celebrities, and planning the trip of a lifetime-a trip that could change her view of the world and her own place in it forever. I loved this book. My mom recommended it to me years ago after she read it and really enjoyed it. The two of us gobbled up the entire series. Super charming and fun to read. I blew through this book. Its essentially about a marriage, and all the details, ups and downs, the nuances if you will, of a decades long relationship. I found it gripping, emotional and really interesting. This book is about a couple, both of whom are quite different from one another. Doug is serious, pragmatic, logical, grounded and stiff. Connie is adventurous, imaginative, insightful, creative, reckless and romantic. This story takes us along for the trajectory of their story, from their meeting right up to the present day, when Connie has told Douglas that she is thinking she would like a divorce. After they tour Europe for three weeks with their teenage son that is. Douglas is shaken and devastated. Thus, we are taken along to learn the timeline of their story. I read this book in three days I think. I didn't want it to end. I liked how it explored the complications and intriguing contradictions of relationships. And actually, I really enjoyed the (what I think was) realistic and somewhat surprisingly nontraditional ending. Here is more information on the book if it sounds interesting to you! I read this one during my recent solo trip to Sweden. It was excellent. Similar to a modern day How to Make Friends and Influence People. 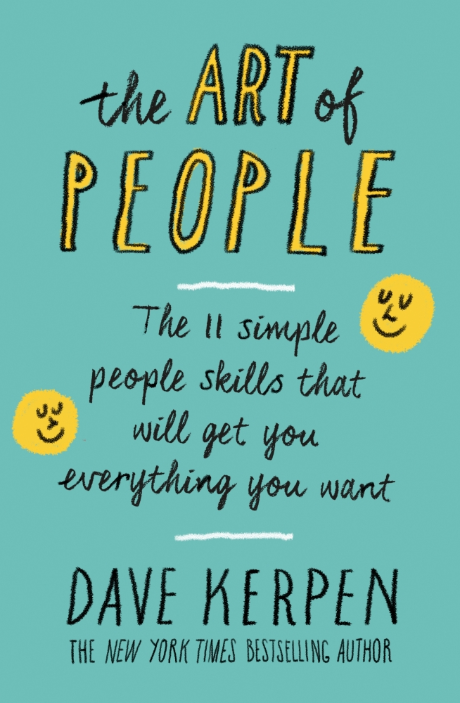 This book gave sound and yet personable advice for how to be great with people. And trust me, most people aren't. Most people are average with others, if not less. 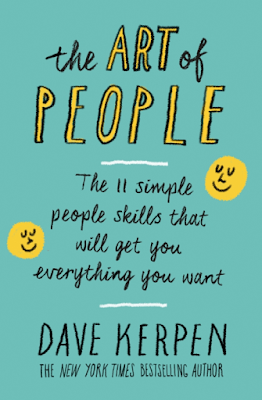 This book gives a lot of great advice for how to improve your connections and relationships with others. From how to be a better listener, to the two second trick that if you use it, will win over nearly everyone. The book talks about the one way to ensure you never have a shortage of friends and people who like you deeply, to how to smooth things over when you upset someone. Everyone should read this book, really. Everyone. Then I imagine we might have far more efficient and well functioning relationships in general (from romantic to colleagues to friendships). Check out the book here!!! I read this book in 36 hours during my recent solo trip to Sweden (along with finishing the second half of Wild by Cheryl Strayed and The Art of People by Dave Kerpen). This book was a fast one. Gripping, definitely dark and disturbing, akin to witnessing a train-wreck in which one cannot look away. It was intriguing, creepy and suspenseful. This book is based on the Manson murders, from back in the 70s our in California. This is already a dark, fascinating story in and of itself. (Other reading, I highly recommend Helter Skelter by Vincent Bugliosi. He was the prosecutor in the real Manson murder trials and he wrote this book. Its RIVETING. I could not put it down. Nonfiction. Read this book for sure if you like thrillers). Anyway, I recommend The Girls. Its a fast read and a gripping one at that. The prose and language is outstanding. For those who know me, they are familiar with my interest in the topic of health. Nutrition, exercise science, health in general (including emotional health as well as physical), I love this topic. Its a passion of mine, though maybe a slightly more subdued one (as opposed to my more obvious passions for writing, reading, baking/cooking and travel ;-)). This book is a great read. I am currently finishing it up. Its another one I would say everyone should read. Its written by two people who obtained their PhD in this area. The books claimed are backed by hard science and its chalk FULL of testimonials as well as cited scientific proof for what they discuss. 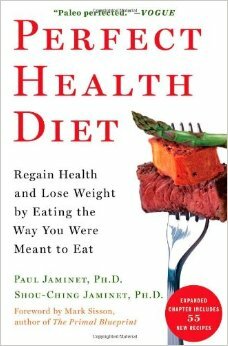 The book talks about what our bodies are meant to eat, and the type of nutrition and diet one should follow in order to essentially rid ones body of disease, or to be likely to ensure that one will not contract a debilitating disease later on in life (as the majority of disease we get is actually preventable). The book talks about what to eat to feel great, to have high energy, to improve ones mental health, to obtain you optimal weight, etc. My one critique on the book would be that its pretty science heavy. I did skip over certain sections. But as a whole, the book is very worthwhile in terms of the potential life-altering health advice and knowledge it offers. Check it out here, if you are intrigued about exploring better health. I love this book, though I haven't yet quite finished it. 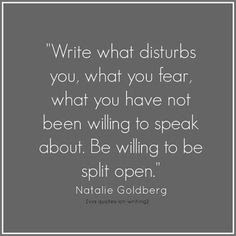 Essentially it helps guide and inspire you towards improving your writing. The author herself is a magnetic writer. Her suggestions are moving and inspiring. The book is thought provoking and definitely motivational. 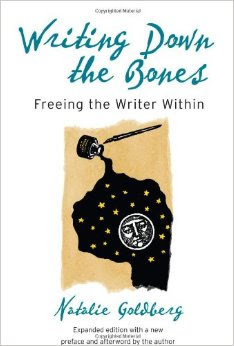 If you love to write, or are wanting to improve your writing, read this book. Here is what the book is about in more detail. I finished this book a couple of weeks ago. I had been seeing it on the newsstands for months and months, along with his other bestsellers, yet I had yet to read any of them. But one day, I picked this one up at the library and decided to give it a go. Really thought-provoking and excellent. 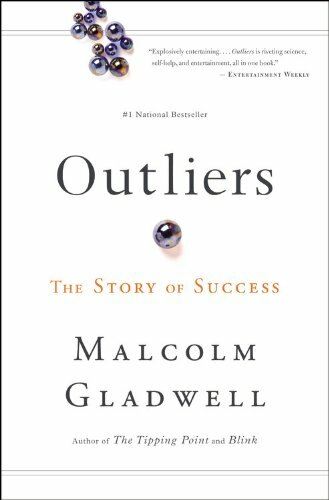 Gladwell talks about what makes someone a success. Are they just lucky? Does it have something to do with their background, such as being rich or privileged? How much does ones IQ matter? Are those who strike it rich or famous truly talented, or might there be something else behind what catapults them to fame as opposed to another person who might be just as talented? Why do some people get noticed and not others? These are the questions this book addresses. A very worthwhile and eye-opening read. I find Anita Shreve books to generally be pretty hit or miss. Some of them, I have loved. Others were duds during which I lost interest in fast. This one was a surprisingly good one. I feared it might be a miss because of its uninteresting title, but picked it up actually for the very reason of the title. Something in it spoke to me. This book, in a nutshell, is about a group of friends who come back together long after college has commenced and they've gone their separate ways, for a friends wedding. 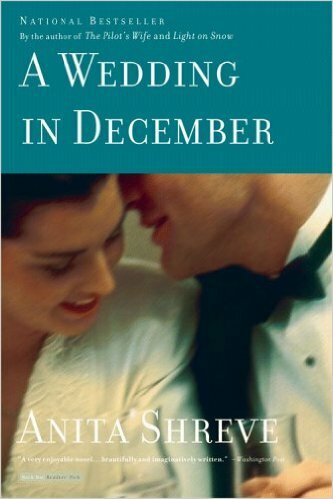 Old romantic feelings are restirred, the characters in the story are complex and interesting, and the prose is excellent. 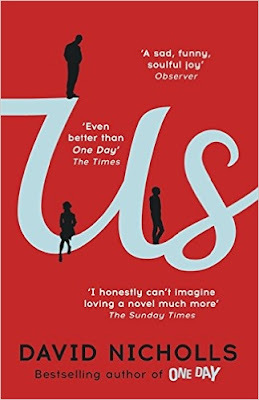 I blew through this one, really enjoying the complexities between the characters in regards to their past connections with one another. You can take a look at the plot in more depth here. I didn't think I would love this one as much as I did in the end. 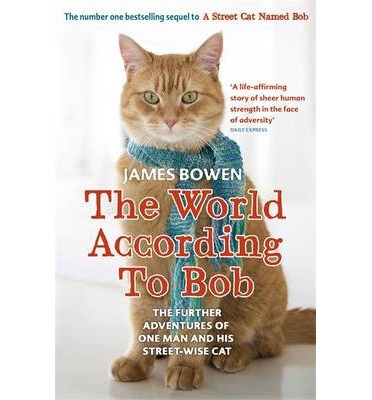 I read the first book, A Streetcat named Bob and really enjoyed it. The story is a nonfiction one about James Bowen, a young man who struggled with heroin addiction in his past and now trying to move forward and make a life for himself in London, when he stumbles across this sweet tabby cat, Bob who changes his life. Bob is particularly insightful, mischievous and smart. The friendship they forge is one that tugs are your heartstrings, hard, and is deeply moving. So, I picked up this one, the second book hes written, and decided to give it a shot. While the writing itself isn't phenomenal, the story is an extraordinary and beautiful one. My eyes welled with tears at the end of the book (and I happened to be on the subway, so I attempted to turn my face casually towards the door so no one would witness it). I would recommend this book. The story itself is a remarkable, noteworthy and worthwhile one. Read a bit more about Bob here. I really enjoyed this one. So much so that I have read it twice. Its a perfect summer/beach read. Its a fast read. Its a relatable and fun read. 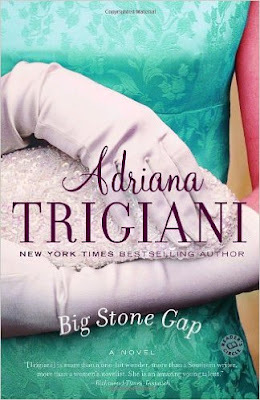 What I liked the most about this book was the exploration of the complexities of romantic love. The main characters different connections with both her husband and her ex/big love. I thought this was a neat, gripping and slightly more daring/intriguing topic then the usual chick-lit novel. And I liked it because I feel its more a reflection of real relationships, in that they are complex and multi-layered. (Though, the parts about the matchmaking were of course, fluffy and not realistic ;-)). I would definitely recommend this book, especially to my female friends who like these sorts of books. 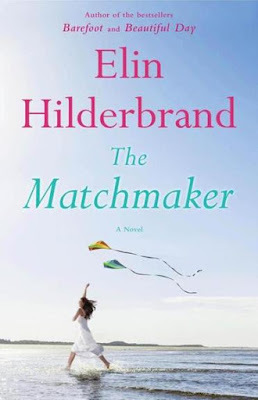 If you like Emily Giffin, Jennifer Weiner, other Elin Hilderbrand books, Gayle Forman, Mary Kay Andrews, any of those authors, then you will absolutely like this one. Another one I have read twice. This book is nonfiction, written by a man who did his PhD on the subject. 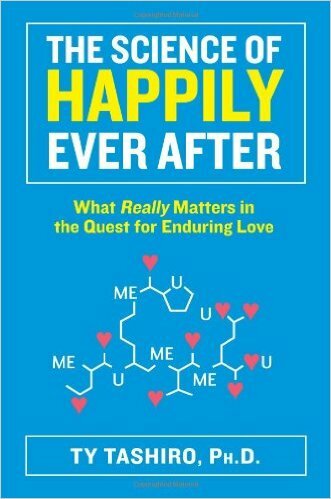 The book is about why so many of us, SO often, choose the wrong partners. He really deconstructs and examines this, in a relatable, personable and fun-to-read way. He talks about the mistakes we make when choosing a partner, why often times our own judgement is actually pretty faulty (as opposed to our friends and families judgement which, shockingly, is often BETTER than our own in regards to our romantic partner choice!!! ), and he talks about how we could avoid the mistake so many of us make in choosing wrong and instead, choose better. I read this one a couple of months ago, but another great nonfiction read. This one is really thought-provoking. I loved it. 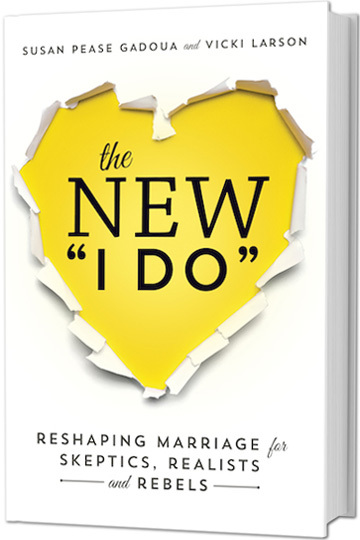 The book is in support of marriage and commitment. 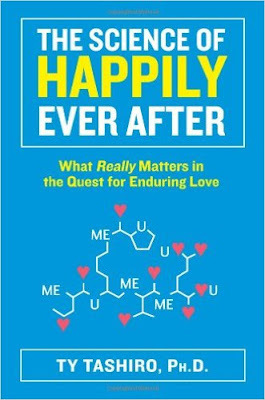 However, what it deconstructs is the idea that marriage must be a one-size-fits-all institution in order to be happy and successful. In fact in their book, these two point out that for the vast majority, one relationship lasting the duration of ones lifetime (aka a marriage) isn't realistic. At least half of couples split up, and that isn't including the ones who remain married/together but aren't especially happy. AND that's not including the people who are unfaithful. So, if you combine those three stats, of the people who split, and the people who stay but aren't happy, and the people who cheat, for the vast majority of people, a lifelong monogamous relationship with one person doesn't tend to work. What I like about this book is that it points out, why is this a point of shamefulness and a sign of "failure" according to our society? Especially when its the case for SO MANY people. They point out that this (the fact that its so commonplace for relationships NOT to be lifelong) would suggest that actually, its a normal and human thing. Relationships last as long as they do (some last a short while, others a long while), but often times they conclude and have an end point. This should be ok. It should be viewed as natural and normal. This is not cynical or pessemistic, its simply being real. 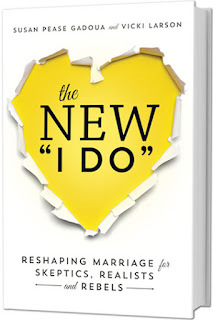 The book then segues into the topic of, if marriage is a challenge for the majority of humans, how can we maybe look at it a bit differently or reshape our ideals of it to help boost its potential for success? If those ideas intrigue you, check it out. So, there you go. Loads of fun, varied, interesting reads for the upcoming autumn!!! 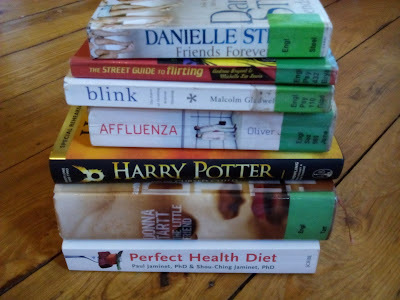 I have my new stack ready for the next few weeks...SO excited!!! :-D (plus additional small stacks of books scattered around my room, also patiently awaiting being cracked open).